Computer Engineering Department established in 1985 with the vision to produce world class quality computer engineers. 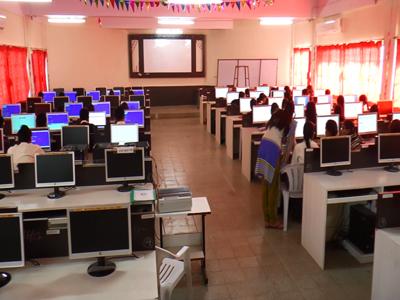 PG in Computer Engineering started in 2014. Since its inception the Department has gained reputation in the S P Pune University as a renowned department for its quality in academics and treating students and alumni as Ambassadors of institute. More than 1500 alumni are working in India and abroad in leading multinational companies, government and various research organizations such as IBM, CAPGEMINI, SYNTEL, TCS and renowned top industries. The department has an environmental friendly infrastructure, well equipped laboratories and qualified, experienced staff. Research and consultancy is the prime activity in the department. Several faculties have published and presented research papers at national and international level. All computers in the laboratories are connected by wireless and CAT6 cables. One as to one leased line of 24mbps. Department has received various grants under MODROB, and BCUD such as center for software implementation and testing of software modules Modernization of Network Laboratory, Software design architecture and various one and two day’s national level workshops, seminars and conference. Department provides consultancy work in various key areas such as TCS, MSED Co. Ltd., GATE. Department also conduct the practical for the nearby colleges in our well-equipped laboratories. Through this activity department has generated handsome revenues. We also conduct the computer literacy test for PRES staff. Internet: High Speed Leased line Internet facility is available and all terminals are connected to Internet. Free Internet facility to students is available even after college hours through WI-FI system. Our Last year Result of S.E., T.E. and B.E are 90%,91 %,75 % respectively. Exam and Higher Education : The number of student has secured more score in competitive Exams like MBA/CET/CAT/GATE/GRE/TOEFEL / IELTS. Five students secured valid gate score and eight student secured high score in MAT examination. Other than these four students are went for higher study in M.S. abroad place. Industrial training and placement: In last year six numbers of students had done industrial training at different reputed industry. From last batch five students in Wipro BPO and two in persistent system are recruited. To develop renowned computer engineering graduates capable of exhibiting leadership, creativity and skills for improving the quality of life. Through advanced knowledge of computer engineering students will work for the betterment of the society. Collection of Knowledge from Experimentation, research, literature and simulation. Imparting critical thinking, team work, effective communication and responsibility towards society. PEO I: Engineering Concepts To provide fundamental knowledge of science and engineering concepts for computer engineer and increasing their proficiency in mathematics and algorithms for efficient problem solving. PEO II: Expertise in computing technologies and tools To provide hands- on experience in design and programming techniques, technologies and tools related to computer engineering. PEO III: Leadership and Teamwork To inculcate, in students, professional and ethical attitude, effective communication skills, teamwork skills, multidisciplinary approach and an ability to relate engineering issues to broader social context. Professional Skills: The ability to understand, analyze and develop computer programs in the areas related to algorithms, system software, machine learning, artificial intelligence, web applications, big data analytics and networking for efficient design of computer based systems of varying complexity. Problem-Solving Skills: The ability to apply standard practices and strategies in software / embedded project development using open source programming tools and environments to deliver a quality product for business success. 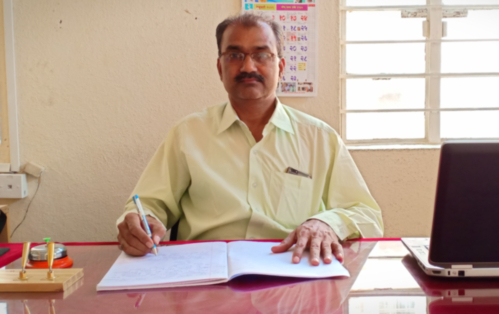 Successful Career and Entrepreneurship: The ability to employ modern computer languages, environments and platforms in creating innovative career paths to be an entrepreneur and a path for higher studies. Engineering Knowledge: Apply the knowledge of mathematics, science, engineering fundamentals, and instrumentation and control engineering to the solution of complex engineering problems. Problem Analysis: Identify, formulate, review research literature, and analyze complex instrumentation and control engineering problems reaching substantiated conclusions using first principles of mathematics, natural sciences, and engineering sciences. Design/Development of Solutions: Design solutions for complex instrumentation and control engineering problems and design system components or processes that meet the specified needs with appropriate consideration for the public health and safety, and the cultural, societal, and environmental considerations. Conduct Investigations of Complex Problems: Use research based knowledge and research methods including design of experiments, analysis and interpretation of data, and synthesis of the information to provide valid conclusions. Modern Tool Usage: Create, select, and apply appropriate techniques, and modern engineering and IT tools including prediction and modeling to complex instrumentation and control engineering activities with an understanding of the limitations. The Engineer and Society: Apply reasoning informed by the contextual knowledge to assess society, health, safety, legal and cultural issues and the consequent responsibilities relevant to the instrumentation and control engineering practice. Environment and Sustainability: Understand the instrumentation and control engineering solutions in societal and environmental contexts, and demonstrate the knowledge of, and need for sustainable development. Ethics: Apply ethical principles and commit to instrumentation and control ethics and responsibilities and norms of the engineering practice. Communication: Communicate effectively on complex instrumentation and control engineering activities with the engineering community and with society at large, such as, being able to comprehend and write effective reports and design documentation, make effective presentations, and give and receive clear instructions. Project Management and Finance: Demonstrate knowledge and understanding of instrumentation and control engineering and management principles and apply these to one’s own work, as a member and leader in a team, to manage projects and in multidisciplinary environments. Life-long learning: Recognize the need for, and have the preparation and ability to engage in independent and life-long learning in broadest context of technological change.